New York's attorney general says an analysis shows that three-quarters of nearly 53,000 guns used to commit crimes in New York over the last five years were originally purchased in another state. The report released Tuesday by Attorney General Eric Schneiderman is intended to pressure the federal government and state governments to enact stricter gun control laws. "For the first time ever, we can confront opponents with the hard evidence of where the guns were coming from and where they're going to. We look forward to similar analytics being developed by other cities that are being plagued by gun violence," he said. The report says about 90 percent of these guns were recovered in seven markets: New York City, Long Island, Lower Hudson Valley, Capital Region, Syracuse, Rochester and Buffalo/Niagara Falls. 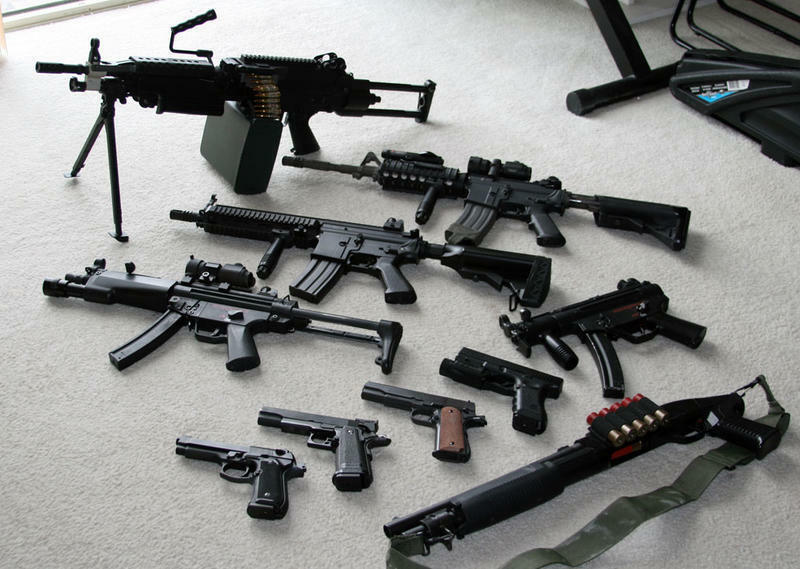 About 75 percent of all recovered guns were handguns, the weapon of choice for violent criminals. Buffalo has the second highest number of low time-to-crime recoveries (605) and likely-trafficked guns (424). Buffalo recovered 3,076 handguns, making it the third largest market for handguns in the state, with handguns making up 59% of recoveries in the market. Erie County showed a high per capita recovery rate of 82 guns per 100,000 residents, with Niagara Falls lower at 58 per 100,000. Five zip codes (14215, 14211, 14213, 14207, 14212) accounted for almost 50 percent of the region's recoveries, or 2,476 guns. These recoveries were located in or around the City of Buffalo and had a slightly higher average out-of-state percentage than the rest of the market. The data also show some of the weapons were originally purchased in states such as Massachusetts and Connecticut, which have relatively strict gun laws, as New York does. However, the reports says that most of these weapons began "in just six states with weak gun laws – the states along I-95 that make up the Iron Pipeline." Those states are Pennsylvania, Virginia, North Carolina, South Carolina, Georgia and Florida. In addition, only 3,208 guns - or 6 percent - "were recovered from a possessor who was also the original purchaser of the gun. About half of these were low-time-to-crime guns," the report says.